Garry Dodd claimed his 6th Whistlers Open title on Monday with a 3-1 victory over Josh Butler in the final. In a tournament that has had 3 different winners in the last 3 years there were a number of strong contenders for the title including top seed Dodd, former island champions Phil Ogier and Josh Butler, as well as Josh and Lawrence Stacey who have both had strong starts to the league season. The night began with the group stages and the seeded players all comfortably progressed through their respective groups. The only seed to slip up was Ryan Bichard, with the 15-year old being defeated by the improving Albert Unden 3-1, though Bichard still qualified through the group in 2nd place. The knockout stages also went with the seeding, though there was a notable scalp for young Billy Ogier who knocked out the experienced Martin Sarre 3-2, before succumbing to Dodd in the round of 16. The Stacey twins were having to dig deep to reach the latter stages as Lawrence Stacey took the full 5 games to overcome a spirited fightback from Dan Collenette, while brother Josh saw a 2-0 lead slip against the ever-wily Phil Ogier before winning 11-9 in the 5th and deciding end. The other quarter finals saw Garry Dodd seeing off the challenge of Ben Foss and Josh Butler defeating Albert Unden, both 3-0. Dodd was close to his imperious best in the semi final and it was Josh Stacey who felt the full force of his attacking power. Dodd started on the front foot and did not allow Stacey to get a foothold in the match and ran out a comfortable winner, 11-1, 11-4, 11-2. Meanwhile the other semi-final was a much closer affair, with Butler coming through against Lawrence Stacey 3-1 after some tight games. 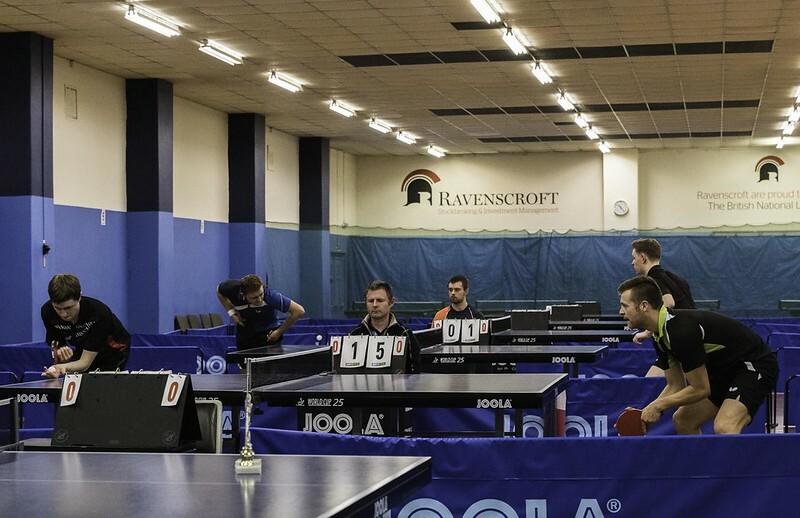 In the final, Butler rose to the challenge against his former team-mate and attacked the Dodd serve early on and forced the Island Champion back from the table on numerous occasions. Butler was varying the pace of the ball to good effect and started to disrupt Dodd's rhythm. However with the match finely poised at one game all, Dodd upped the ante and counter attacked, stopping Butler from dictating the pace of play and unleashing some ferocious backhand winners. He took the final two games 11-5, 11-4 to seal his second open tournament win of the season.